An icon of the Cretan school from sometime between the 16th and 18th centuries. 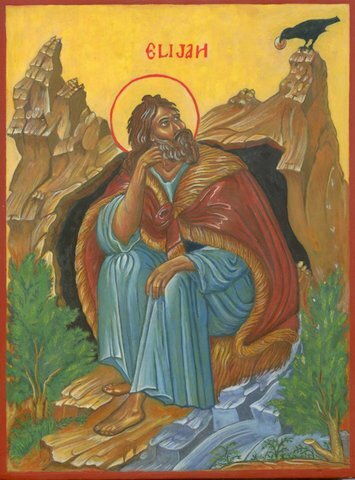 The subject is traditional and shows the prophet Elijah hiding in a rocky cave during a time of drought in Israel. He is to drink of the stream and will be fed by ravens, (cf. 1Kings 17,1-6). The incident has been much allegorised in the spiritual teaching of the Churches, both East and West. SKU: IK11. Category: Hand painted icons.